No. 1, Jalan Selat Selatan 22, Sobena Jaya Industrial Park, 42000 Port Klang, Selangor, Malaysia. 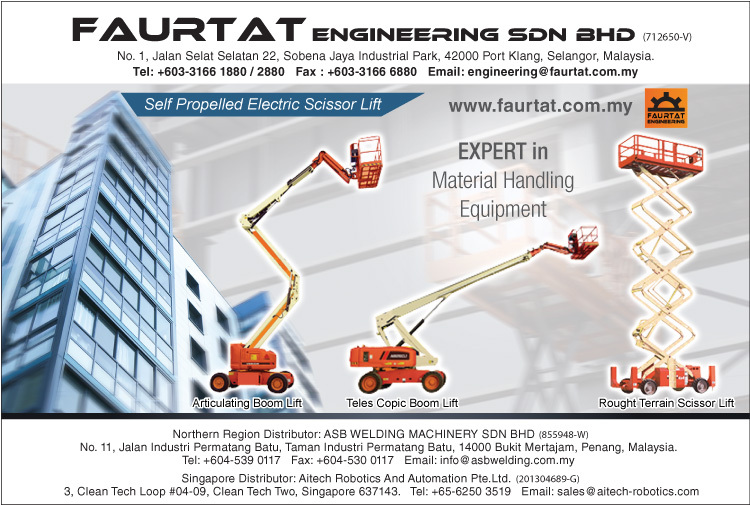 Faurtat Engineering is one of the leading Material Handling Equipment (MHE) companies in Malaysia to supply and design Material Handling Equipments. Celebrating with over 8 years in business, the company is unrivalled in experience developing advanced solutions for MHE. Constantly improving its product and services of MHE, Faurtat Engineering keeps up with current trends in the industry by forming strategic MHE solutions adaptable to evolving market demands. 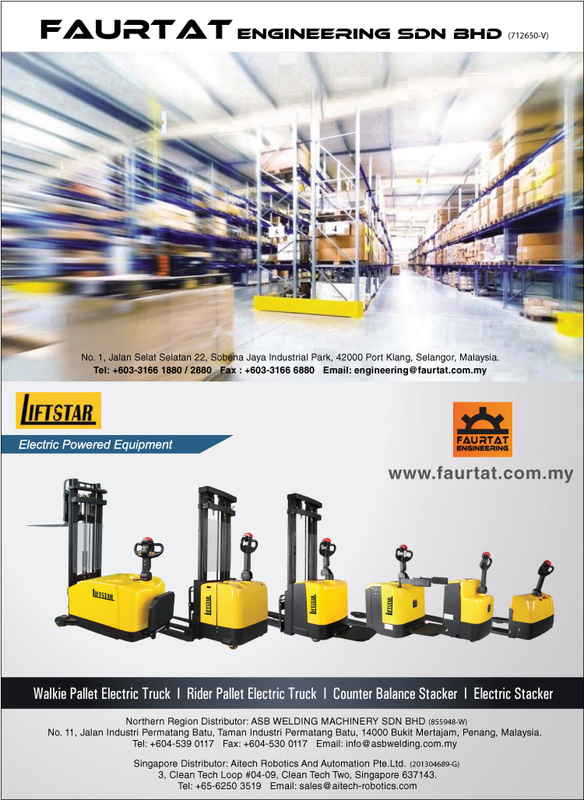 In the world of high performance MHE, Faurtat Engineering has done the impossible: keep MHE equipments simple and easy to deploy. We are concerned every market and customer demands, we assure all MHE equipments are the result of a long-standing dedication to simplicity, innovation, quality, and safe. Faurtat Engineering embraces professionalism and honesty as stepping stones to success. We pay 100% focus on MHE and thus it makes us different from our competitors. With the aid of the infrastructure available, completed range of equipments, highly experienced staff and application of latest technology, Faurtat Engineering is well poised to produce good quality equipments and also we can execute our orders in the manner of delivery time. Today, Faurtat Engineering has played a significant role in the MHE market. The extensive portfolios of MHE technologies enable us to cover a wide range of markets in all sectors, including manufacturing, warehousing, factories, logistics, retails, hypermarkets, airports, seaport and many more. At present, Faurtat Engineering provides a wide variety of complimentary support services in maintenance and repair for our customers from both local and international. Faurtat Engineering is also expanding its international footprint, focusing on the local market with the recent overseas venture into middle-eastern countries whereby we also created a successful achievement of coverage up to 2000 dealers in the local scene as well as a handful of strategically selected international dealers. With safety and operational excellence as our highest priorities, our skilled employees consistently exceed customer expectations by using our proven safe MHE systems of work.As it continues to extend its technologies, we will pursue and promote a technology-integrated and secure working environment and constantly takes steps to deliver premier-quality products and value-worthy for our customers.